Approximately 8:30am this Monday morning, a Rosslyn bike-commuter noticed a fish crossing the road in Rosslyn Vista Park. The bike-commuter snapped the photo above and reported the incident to the Ode Street Tribune's Investigative Journalism Bureau (IJB). 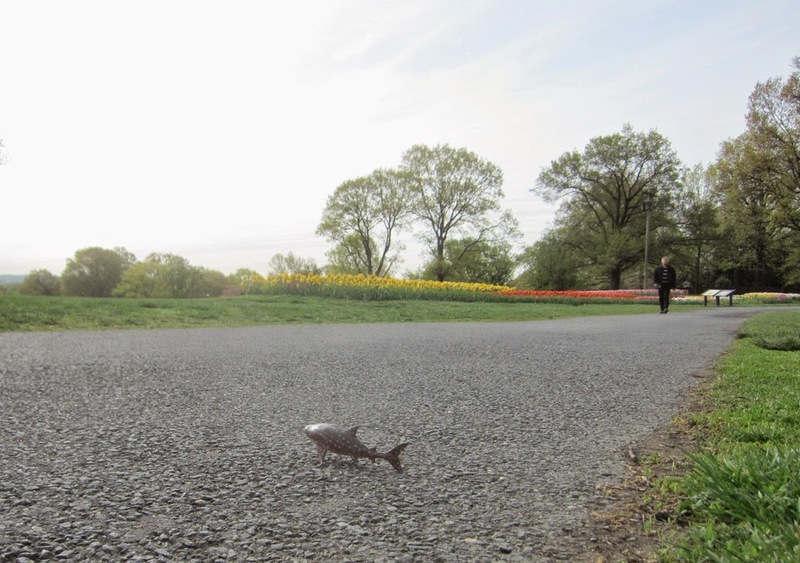 The IJB has been pondering why the fish crossed the road in Rosslyn Vista Park. One expert suggested that the fish crossed the road to get to the other side. But what's the point of a fish getting to the other side of the road? A fish needs water. The IJB has surmised that the fish crossing the road in Rosslyn Vista Park was headed toward the Potomac River. Unfortunately, Rosslyn still lacks easy access to the river. That's why we got so much rain on Monday and Tuesday. Rosslyn cosmic forces blew into action to help the fish get home.